Moving interstate can be easily organized with the right Removalist. If you will be moving from one state to another, you have to take into account the cost of Moving Again and settling in your new home. Moving can often be quite expensive. However, by estimating interstate removal costs, finding quotes online to suit your budget and needs, you could easily save money in organizing your move. When going for an interstate removal company, you have to take inventory of the items that you will be bringing with you. The more items that you have to move and the bigger they are, the greater your Removalist quote. Most interstate removal companies may have only limited truck space . By supplying your inventory you will be moving with you determines the space needed for the interstate removals quotes which will determine the cost of your move. Interstate removal companies generally charge on a cubic meter basis plus any access at your pickup and delivery locations. Depending on your pickup and delivery points would depend on the days it would take to receive your goods. You could go online and look at interstate removal company websites to see what they offer and what the best rates available is. You must look at the initial flat rate set out by the company as there may be a minimum charge per move. After receiving the interstate removals quotes from the companies that you chose, you need to narrow down your choices and choose the best to suit your needs. 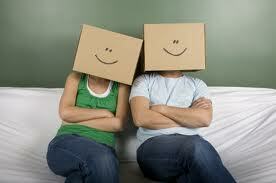 You could ask your chosen mover for packing tips and any other information that you may need to help with your move. Hi we are moving from Melbourne Oakleigh south to Brisbane Wavell Heights on 15 th april .